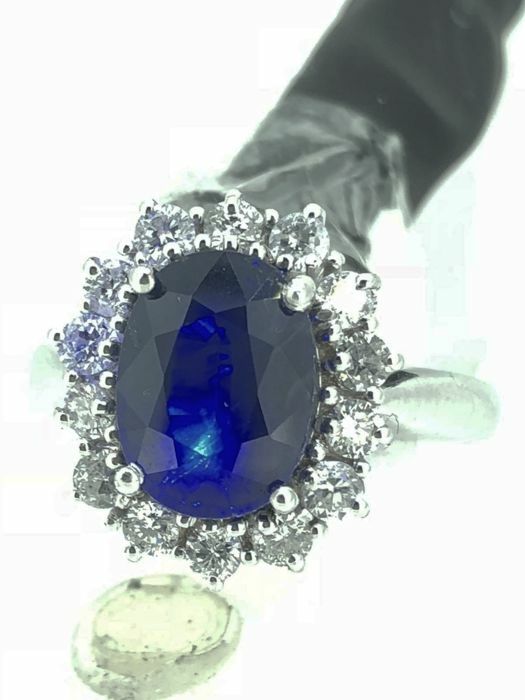 Coktail ring with rare sapphire weighing 3.72 ct, surrounded by diamonds totalling 0.85 ct (VVS, D/E). 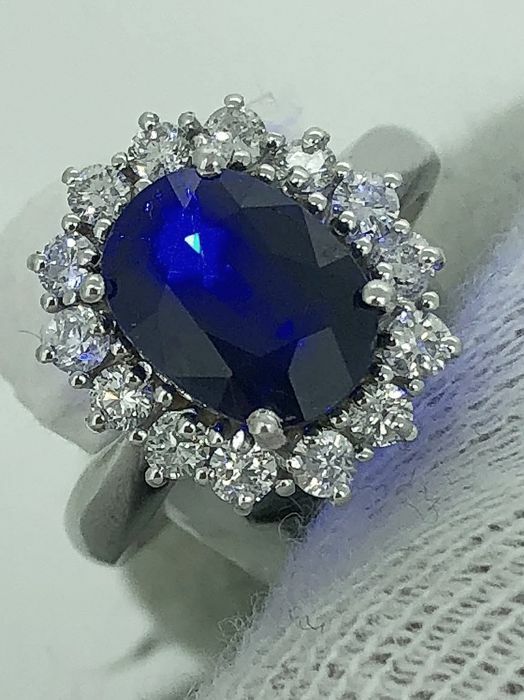 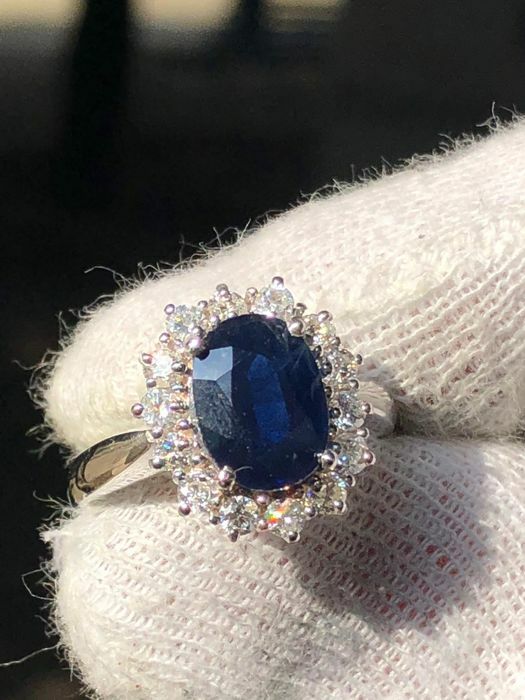 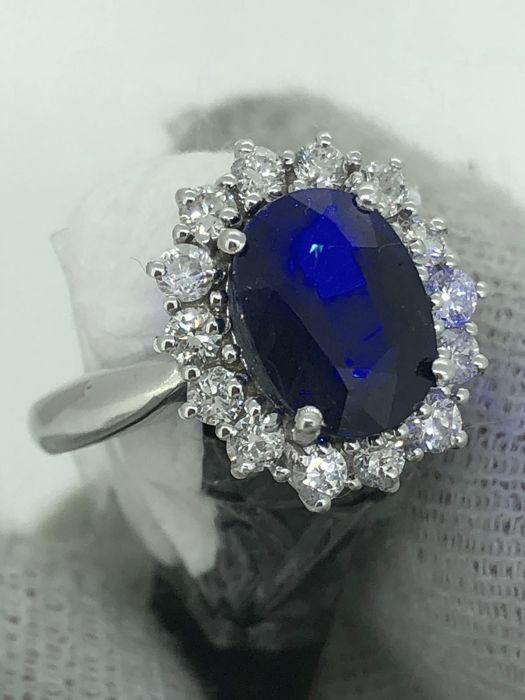 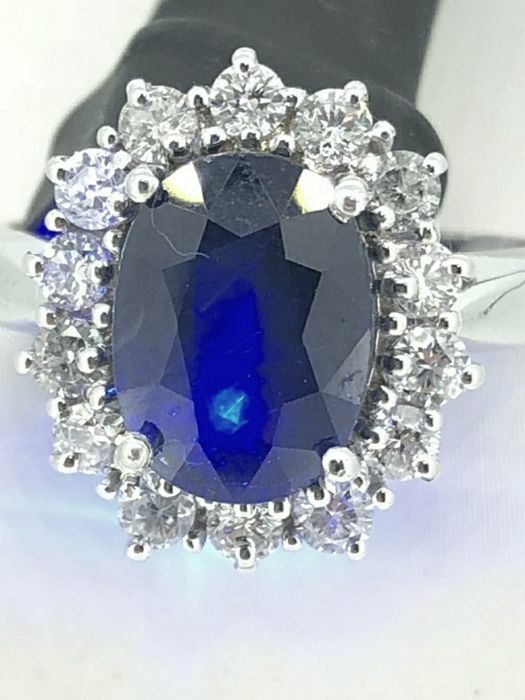 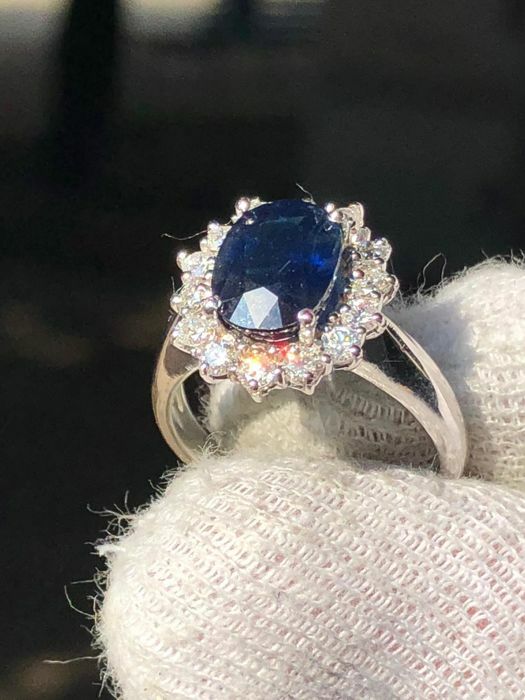 STONE: sapphire weighing 3.72 ct, VVS. 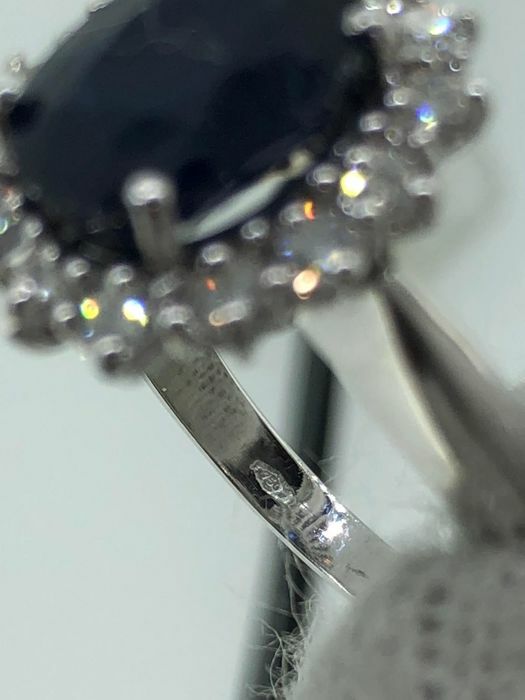 Engagement ring in 18 kt solid white gold. 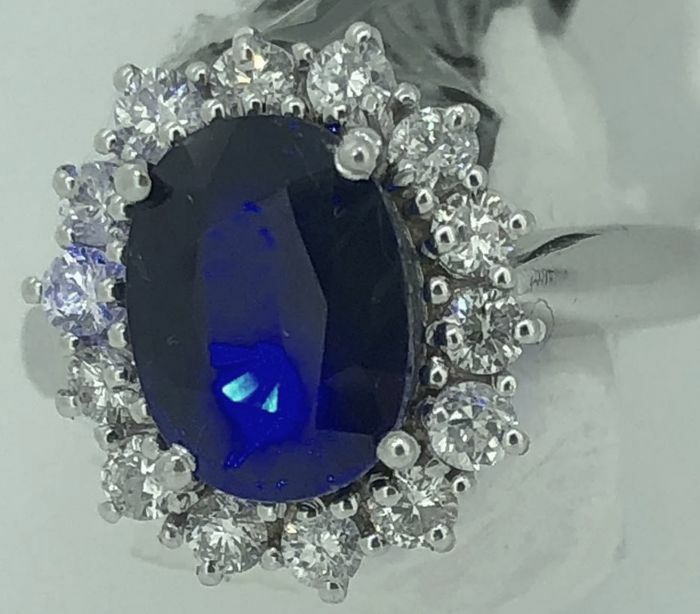 It is a very common practice to treat gemstones to intensify their clarity or colour. 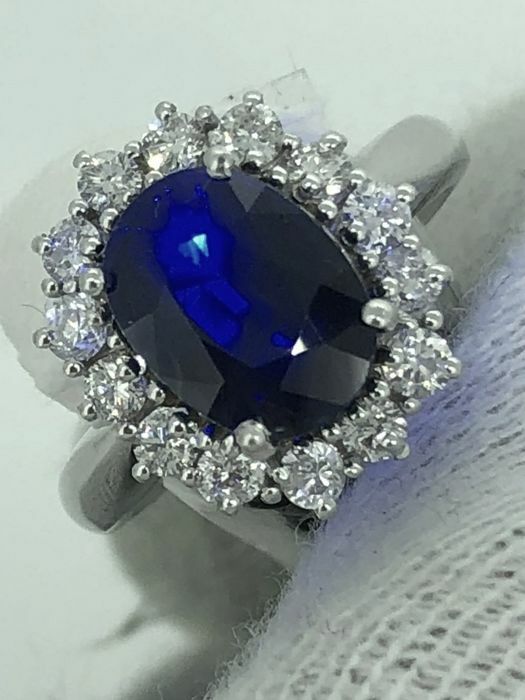 The item in question has not been tested in this regard.